Download this JPEG Froggy Cover to an Avery 5165. It also works to use any print paper and glue it on the front cover. TheAvery website is free if you would like to create an account and print from there. Otherwise it can be printed from computers easily. 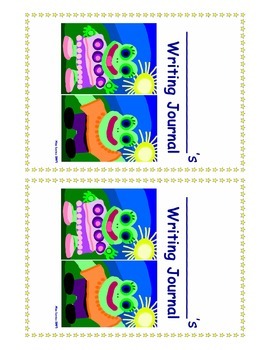 I use these when I use the smaller Journals. I have the larger one available as well for all you Target shoppers who are not allowed to have parent lists!